Every artist has faced those dreaded creative blocks that kill inspiration. 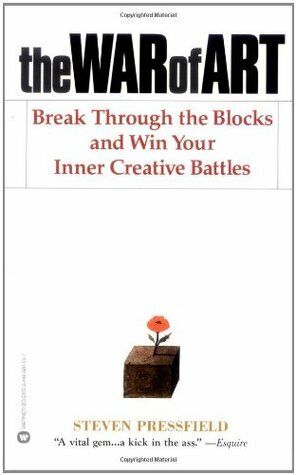 In The War of Art, author Steven Pressfield asserts that these creative blocks occur due to a force known as Resistance, which is constantly working against us to ensure we do not achieve our full artistic potential. The War of Art further details what exactly Resistance is, the effects it has on us, and most importantly, how to combat it by channeling our inner creative genius. No matter what type of art you create, this book will help you establish the habits and mindset you need to say goodbye to creative blocks forever! Steven Pressfield is an American author of historical fiction, non-fiction and screenplays. He is well known for his fictional works like The Legend of Bagger Vance and Gates of Fire. The War of Art, published in 2002, was his first non-fiction book. Follow the traits of a professional artist, not an amateur one. Be a territorial artist, not a hierarchical one.